If Karate chops and high powered kicks is your idea of fun, then 'Oniric Kung Fu' developed by Oniric Factor for the MSX 2 might just be the game for you. As an inspiration by that classic game ' Yie Ar KUNG-FU ' published by Konami in 1985, Oniric Kung Fu takes a different approach to Konami's game, with polished graphics and fresh game mechanics where your strategy and fighting skills will be decisive. 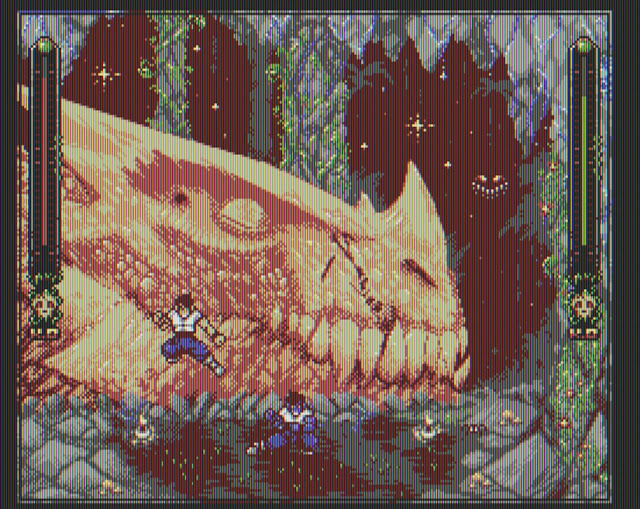 According to MSX.org, Oniric Kung Fu is still in an early stage of development and a demo will be shown at the MSX user meeting in Seville ( Spain ). As for a release date, the developers are hoping to release the game at some point before the end of the year and you can read a more detailed description on the main site but it's not in English.